Being hair free doesn’t have to hurt anymore, at The Wembley MediSpa we offering virtually pain free laser with the Soprano Ice laser hair removal machine. Soprano Ice Laser hair removal is the best choice of treatment for males or females who want a permanent solution to unwanted hair. 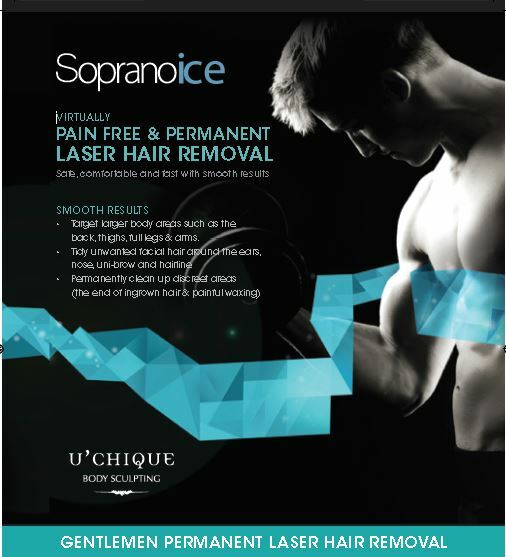 The Wembley MediSpa is delighted to be offering the Soprano ICE, the newest version of Soprano Laser.The Soprano hair-removal treatment is suitable for all areas of the body and all skin types (even tanned skin), with virtually no pain and no recovery time. The Soprano Ice laser hair removal system uses a diode laser that is specially designed to remove unwanted hair faster, more comfortably, and with fewer visits than ever before.